Ready to find inner (city) peace? 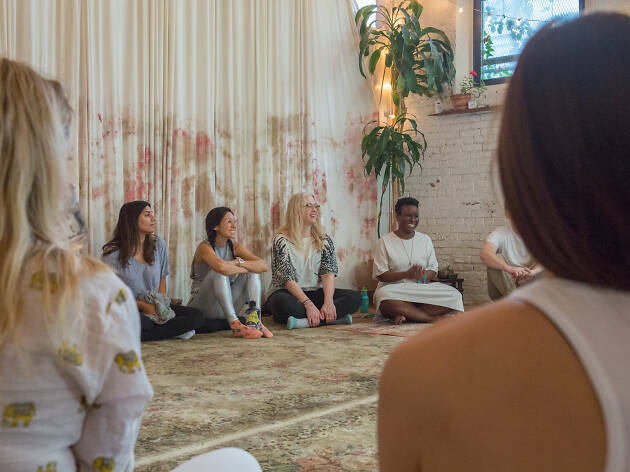 New York can be a pretty stressful place to live, which is why we’re not shocked by the amount of holistic and wellness centers that opened in the city. Looking to improve your mental, emotional, physical or spiritual health? (Or all of the above?) We rounded up our favorite wellness centers that are here to help. More than a list of fitness centers, meditation spots and yoga studios, one of these locations below will become your new happy place. Breathe it in! Walking into this Greenpoint haven for healing is like entering a different, much calmer world. 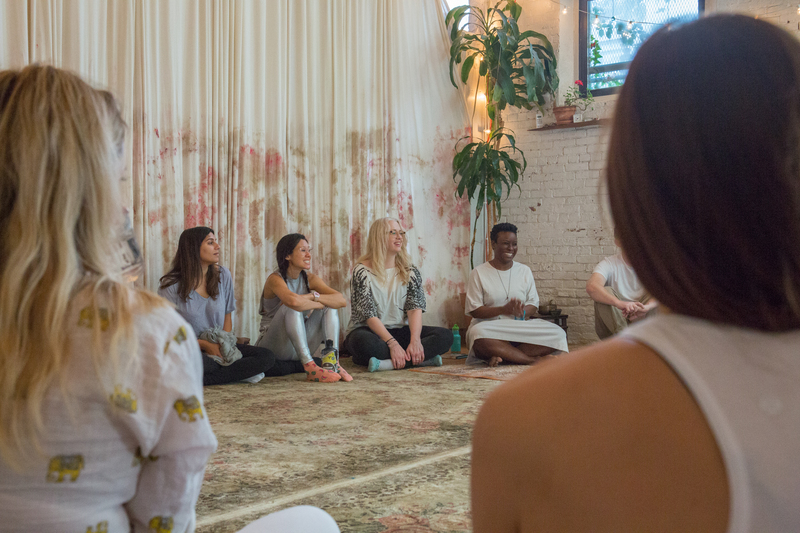 Amid the light wood, white walls and lush rugs, you can take a yoga class ($40), participate in a sound bath ($40) or join a community reiki session (suggested donation $20–$40). In addition to these restorative treatments, the center hosts motivational workshops that cover a range of back-to-basics topics, such as how to run your own business or how to let go of past struggles. If you enjoy performing at-home rituals, you can use this space as a chance to stock up on spiritual wellness tools: Lining the bright walls are enticing objects like radiant crystal prisms, rose-quartz pebbles and sage bundles. Feel like you need to get away for a change of perspective? Opt for a staycation at the James Hotel, which has an in-room holistic healing package that’s designed to help stabilize your physical, mental, emotional and spiritual selves. 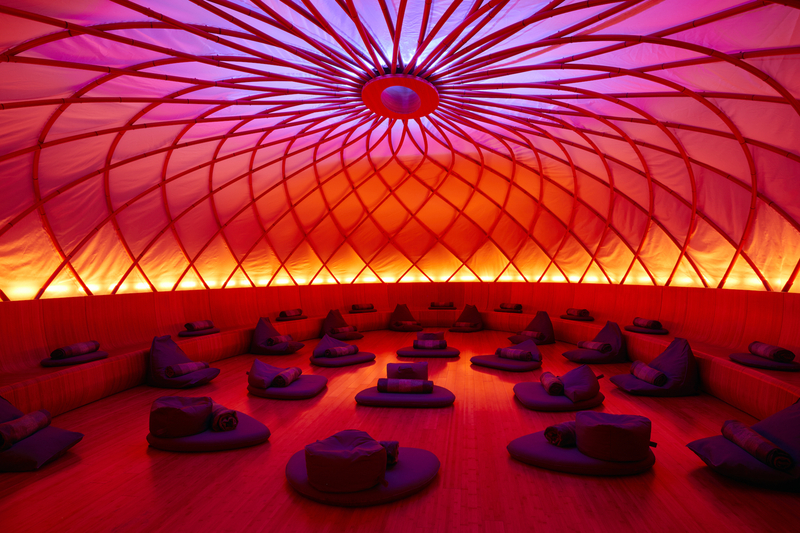 The nourishing regimen, codeveloped by writer and astrology expert Ruby Warrington, includes workouts with Aerospace’s Michael Olajide Jr., complimentary one-month access to the INSCAPE meditation app and kundalini yoga exercises with Guru Jagat of the Ra Ma Institute, all included with the price of a room ($115–$295). Intuitive counselors also offer one-on-one sessions, such as an Astrology Birth Chart Reading ($200/60 min) and hypnosis ($175/90 min). A sweat lodge might bring to mind images of a mud hut in the middle of a desert. 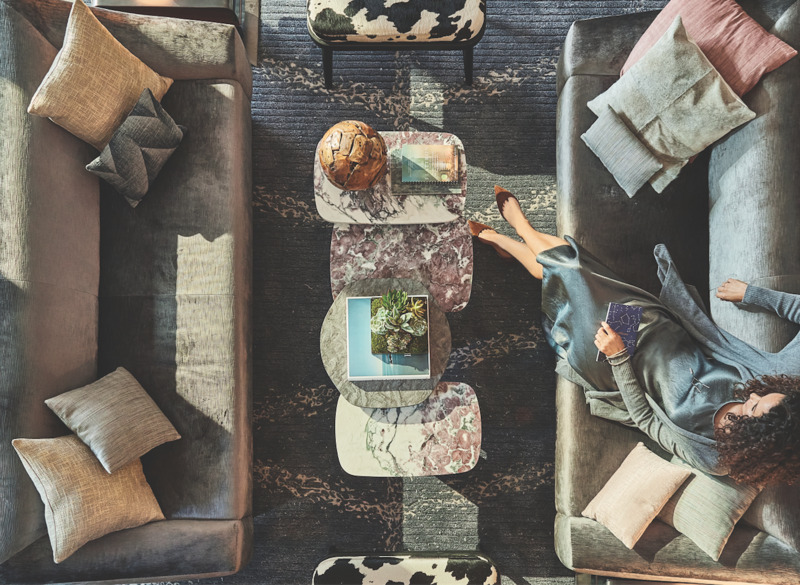 However, an afternoon spent at this urban spot feels a lot more like being in a first-class airplane cabin that forgot to turn on the air-conditioning—in a good way! 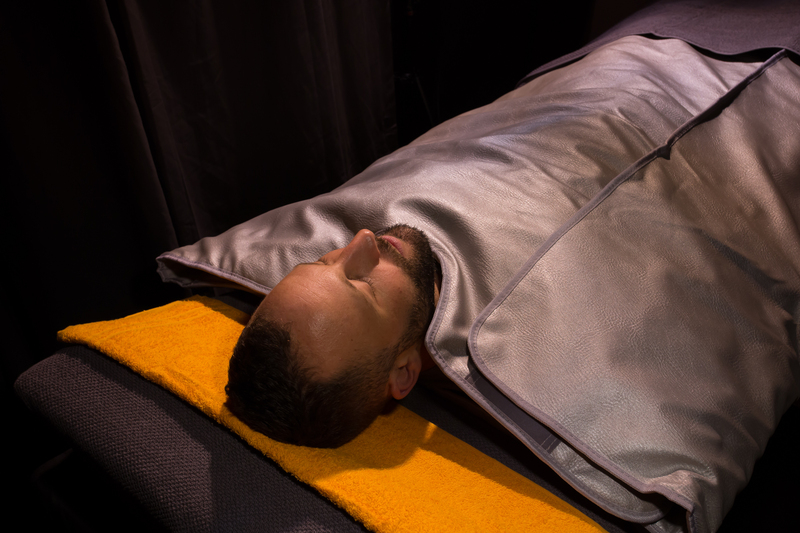 After lying down on an infrared, heated table in a secluded room surrounded by dark curtains, you are quickly wrapped like a burrito in a foil blanket ($70 for a 55-minute session). As you sweat, you have the option to listen to soothing music, catch up on the latest Netflix show or take a snooze while your body heats up. Afterward, the business claims, you’ll have more-glowing skin, a better sleep cycle, and you’ll even burn a few hundred calories. That’s a lot more than you accomplish during the usual TV binge! 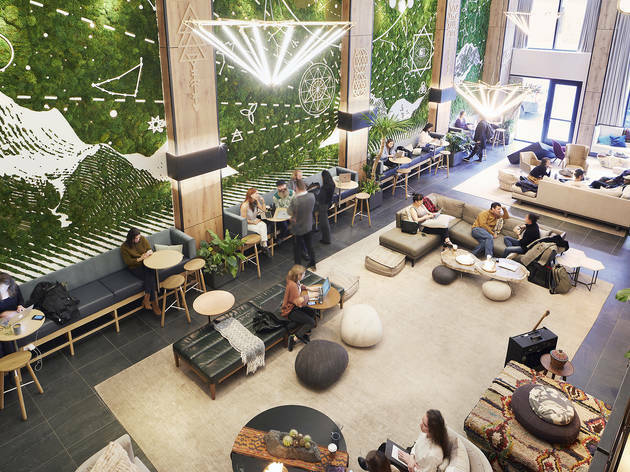 With soaring ceilings, natural light and a giant wall that’s bursting with greenery, this light and airy colocation work space is like a WeWork for the soul. 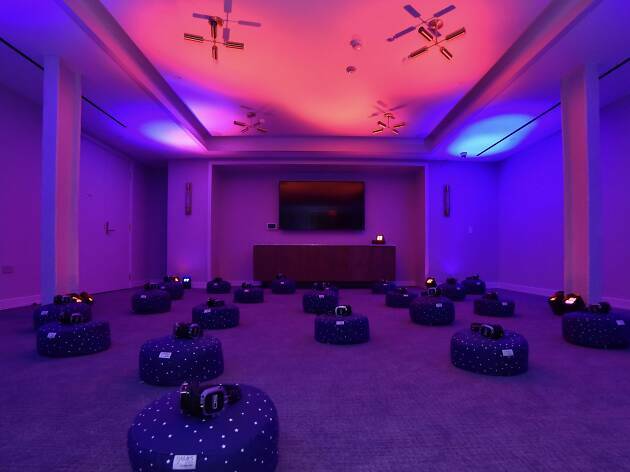 You can center yourself between business meetings, practice your breathing or attend an inspiring event (like a group sound meditation or multisensory dining experience). 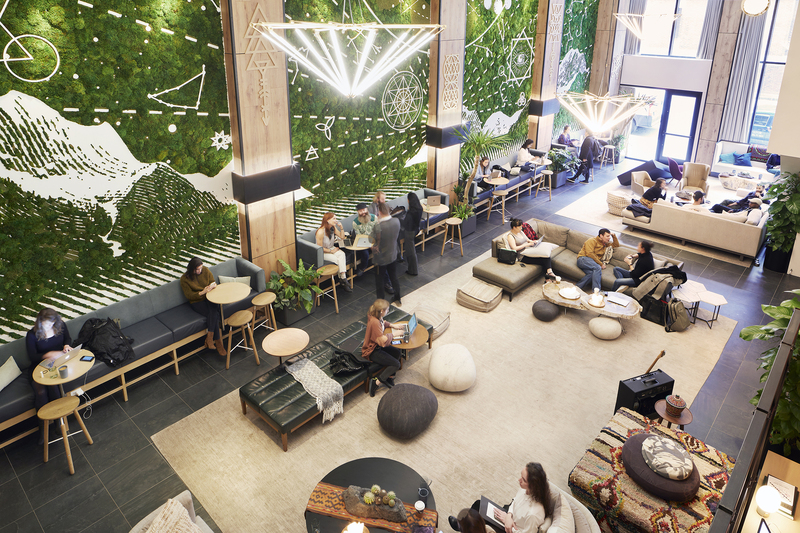 Membership grants you access to 48,000 square feet of shared space, including small, quiet meditation rooms, a bar that serves plant-based drinks, an outdoor terrace and even a gorgeous rooftop garden. The café serves complimentary ayurvedic-style meals (high-vitamin food that is loaded with healing properties) for breakfast and lunch. 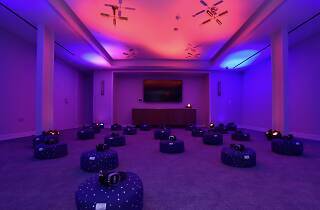 This luxury midtown retreat offers the type of buzzy, cutting-edge treatments that a friend of a friend has tried out. For instance, you can step into the futuristic cryotherapy chamber, which surrounds your body with temperatures as low as -320ºF, purportedly restoring healthy blood flow and reducing inflammation. 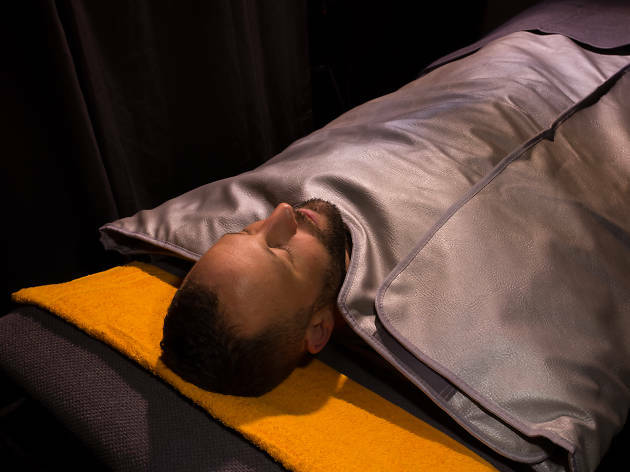 Or you can lie down in a light-therapy bed that cocoons you in an infrared rainbow that leaves you with increased collagen production and relaxed muscles. Or maybe hook yourself up to an IV drip that’s chock-full of vitamins. 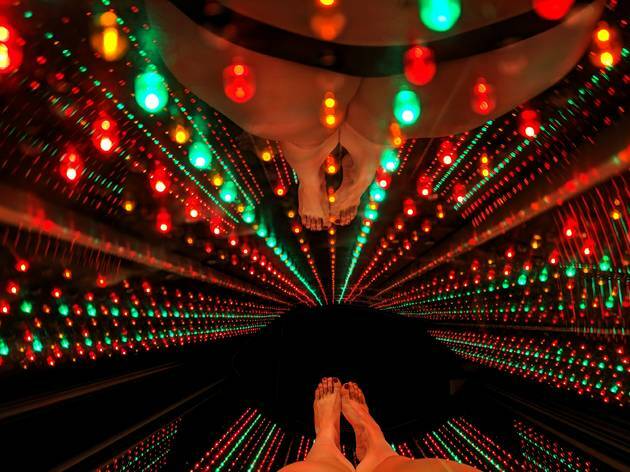 You could see the Jetsons going to this spa. 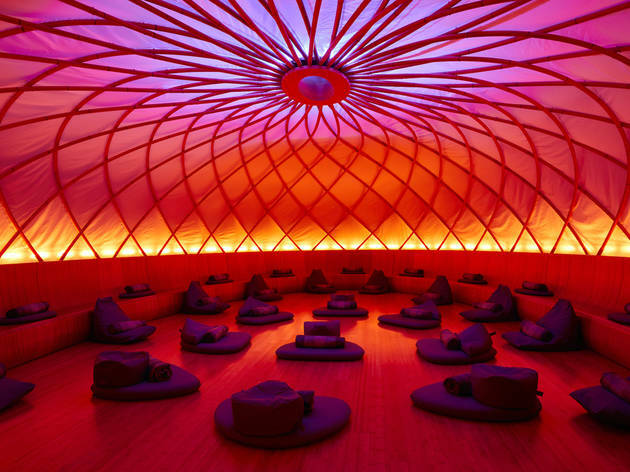 Need a place to meditate in NYC?